After countless requests over the years, we've finally released support for custom actions. With custom actions, you can track anything you want across your website, and reward users for completing those actions. Each time you add a custom action, we provide a tracking script you must use in order for us to track the completion of that action. 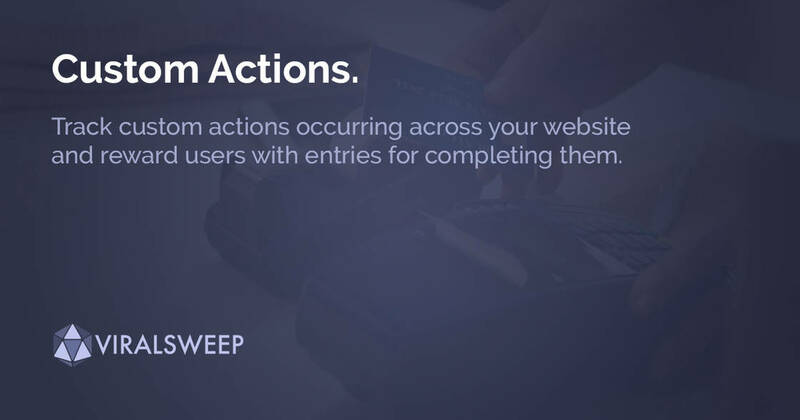 Once the action is completed, we will automatically award points to the user for completing it.